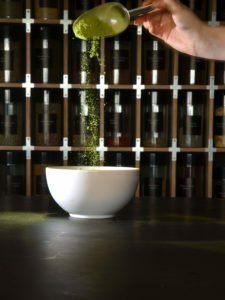 Over the past few years the tea market has seen a rapid rise in the popularity of Matcha tea – high quality powdered green tea traditionally used in Japanese tea ceremonies. Whilst still consumed in the traditional method, the majority consumed in Europe and North America is now for the health and fitness market. Blends For Friends is able to blend Matcha and many other powdered ingredients to create custom tea blends as we do with loose leaf tea. We are able to pack Matcha and many other powdered ingredients such as cacao, baobab, moringa and turmeric into pouches, jars and tins, but we also have an on-the-go solution in the form of Matcha sticks or sachets. We believe we have the only single-serve Matcha stick pack machine in Europe that has been specifically designed to be able to handle this very fine powder. We hold stocks of both a metallic silver and a white paper material that we can pack into if you are looking for generic packaging. However, we are able to facilitate the purchase of fully branded materials if you are a private label tea brand looking for your own unique Matcha stick packaging. We can pack our Matcha sticks with a drop weight of 1g to 5g per stick with a width of 26mm and a length of between 88mm and 160mm depending on the volume of the contents. Our minimum order quantity per bespoke blend is just 6,000 sticks, yet we are able to pack very large volumes if need be. email us at support@blendsforfriends.com or call us on 01732 760808 where we will be delighted to help you.